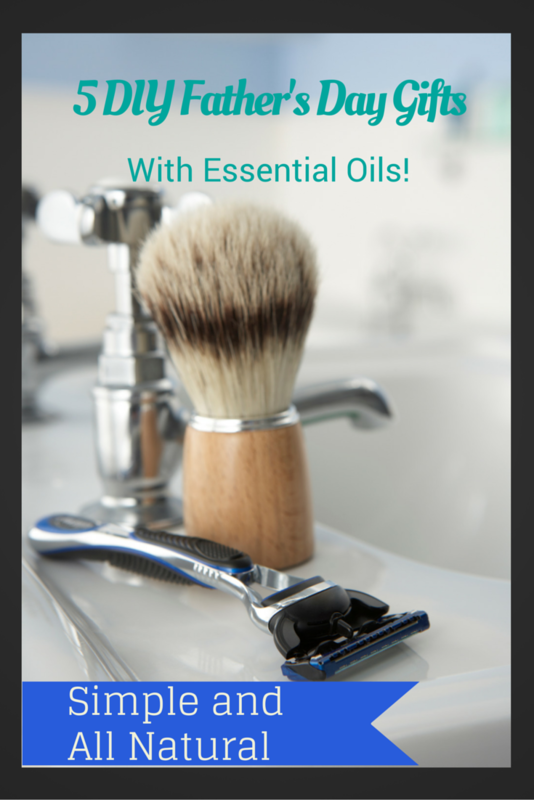 5 DIY Father’s Day Gifts…with essential oils! Father’s Day is right around the corner. Need some inspiration for great homemade Father’s Day gifts? I’ve got a handful of DIY gift ideas that I’m sure any Dad will enjoy! 1. 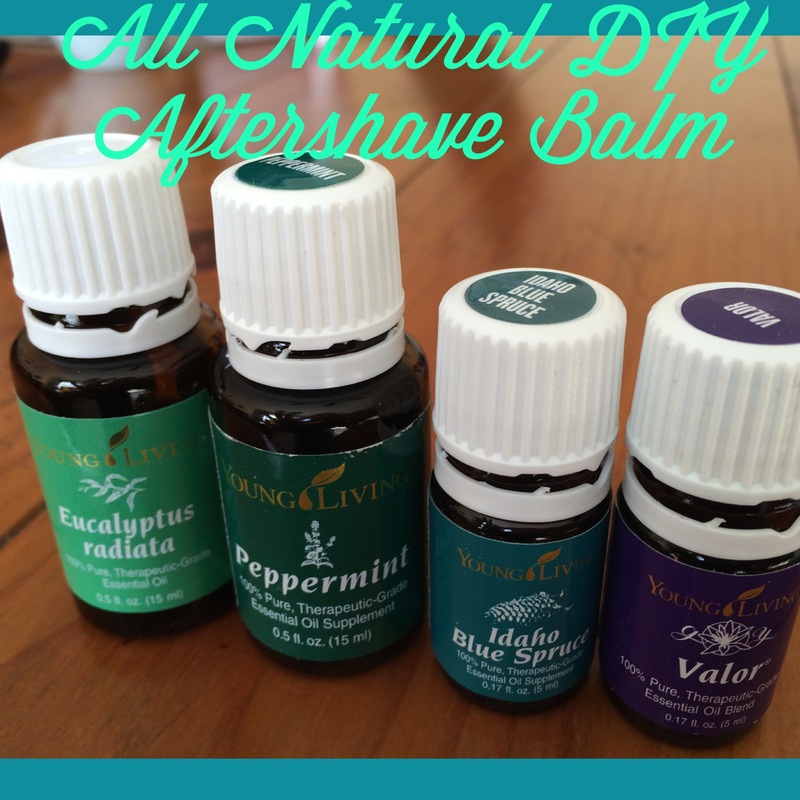 Homemade Aftershave Balm – no chemicals, just soothing and natural! This homemade shaving soap recipe from Grass Fed Girl has that old timey barbershop feel. You’ll want to get a natural shaving brush and classic stainless steel razor to complete the gift. 3. Homemade cologne – non-toxic and smells amazing! In a 10ml roll-on bottle add 10 drops Idaho Blue Spruce and 5 drops Cedarwood essential oils. Top off with your favorite carrier oil, I like sweet almond oil. In a 10ml roll-on bottle add 15 drops PanAway essential oil and top with your favorite carrier oil. This is the perfect solution for a hard-working Dad with achy muscles and joints. This DIY Lotion is thick and perfect for soothing work-worn man hands and dry, cracked feet. Add a few drops of Cedarwood essential oil for a woodsy scent. Find out how to buy essential oils at wholesale, 24% off retail, and get a free sign-up gift. This 4-ingredient chest rub provides all the support of a vapor rub without the chemicals, petroleum, and parabens. Popular store-bought vapor rubs contain far more ingredients than seem necessary, including turpentine, turpentine??! No thanks. This simple to make homemade version includes all the proven active ingredients, without the toxic additives. And this is seriously the easiest recipe – it will take you less than 5 minutes to make this rub. I consider this a relatively mild vapor rub because I wanted it mild enough to be comfortable using small amounts on my toddler. You could up the vaporizing action of this rub by increasing the drops of Eucalyptus Radiata essential oil. Learn more about getting started with therapeutic grade essential oils HERE! Soothe your freshly shaven skin with this cooling all natural aftershave balm. This aftershave balm has a hint of a woodsy scent, so it is perfect for the guy in your life. That being said, there is something about that outdoorsy scent that I find really appealing, so I have been known to borrow the jar of aftershave I made for my husband and use it myself! My husband uses this on both his face and scalp to soothe and moisturize post-shave. That’s it! Super simple, all natural, no hard to pronounce ingredients – Enjoy! 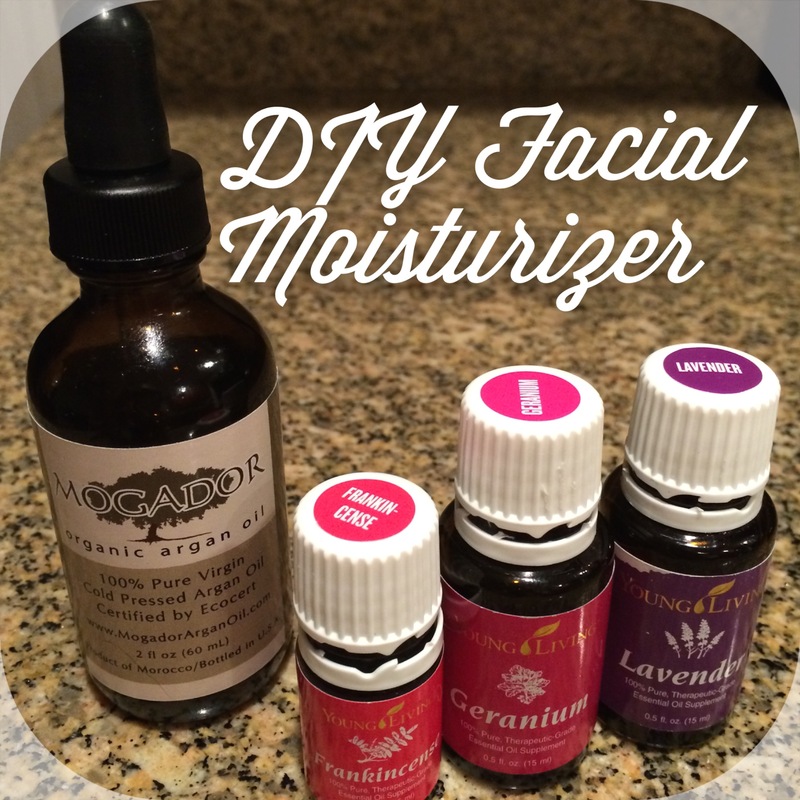 Rather than pay a fortune for skin care products laced with toxic ingredients, make your own all-natural facial moisturizer for a fraction of the cost! I love lotions, creams, serums – basically anything to moisturize my skin and make it feel young. Being of an age that I now consider myself to have ‘mature’ skin, I have spent my fair share of money on expensive face creams. After making and using this simple 4-ingredient facial serum, I will never go back to the pricey, conventional stuff. The department store options cost an arm and a leg, PLUS they have toxic chemicals in them that wreak havoc on our body systems. Add the essential oils directly to the bottle of Argan oil. Use as needed after washing your face. I typically use 8-10 drops in the cold and dry Chicago winter months. In the summer, I only need about 4-6 drops. Now, you may think that $30.40 does not sound all that inexpensive, but when you consider that there are about 1100 drops in a 2 ounce bottle – the overall cost breaks down to less than $.03 per drop – or about $.22 per use. One bottle lasts me up to 4 months, so my total facial moisturizing costs for the year are less than $100 – this is a SIGNIFICANT improvement over the costs of the fancy and chemical laden face creams I have used in the past.